Do you have what it takes to be a successful entrepreneur? Notice I did not ask if you know what it takes. I asked if you have what it takes? There is a difference. Maybe you need to do a little Self Assessment. This page on self evaluation will explain the importance of self-evaluation and help you determine if you have what it takes to be a successful entrepreneur. You may not know anything about starting or operating a home based business; you may not know anything about writing a business plan or setting up a book-keeping system. You may not know anything about internet marketing, web design or web hosting; you may not know anything about promoting your web site. You may not know anything about search engines, Pay-per-click search engines, meta tags, shopping carts or merchant accounts. It’s ok if you don’t know anything about any of the things listed above. We will teach you about them on this site. However, there are other things that are needed to operate a business; things that are not easily learned. They are personality traits, personal characteristics and emotional make-up. To acquire these things will require significant changes in your thought processes. The following self-evaluation questions will help you determine if you HAVE what it takes to be a successful entrepreneur. Be honest! 1.Do you need the security of a regular pay check? If you were applying for a new job would you accept one that paid commission only, with no guarantee? Would you accept a sales job as an independent contractor where you not only were compensated with commission only but were also responsible for paying all of your own expenses and supplies needed to do your job? If that sounds scary to you, maybe you should reconsider if you have what it takes to be an entrepreneur operating a home based business. 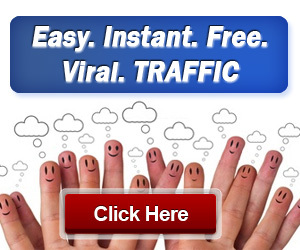 There is no guarantee or regular paycheck when you start an internet marketing business. And you are responsible for all expenses. There could also be legal ramifications. Even on a “commission” only job, product liability and other law suits are usually directed at the company. As a business owner they are directed at you. If you do not have or cannot afford to have an attorney on retainer, you may want to consider having an attorney on hand. So again, ask yourself, Do you need the security of a regular pay check? Do you have what it takes? 2. Are you a self starter? There are many hard working people who do their job and do it well, but the job description must be clearly spelled out for them. As an entrepreneur or business owner, you must know what needs to be done and do it. There is no supervisor to tell you what needs to be done, when it needs to be done or how to do it. Are you a self starter? Do you have what it takes? 3. Are you a risk taker? Starting a business is a big risk. You need to be able to make risky decisions and deal with the consequences. Taking risks is commonplace with the entrepreneur. Someone who is comfortable with taking risks is more likely to succeed as a business owner. Are you comfortable taking risks? Do you have what it takes to be an entrepreneur? 4. Do you have a natural tendency to be competitive? Along the same lines being a risk taker, a natural tendency to be competitive is a quality every entrepreneur needs. From the very beginning, you and your business will be in competition. A competitive nature goes hand in hand with starting and running a business. Be honest with yourself, are you competitive by nature? Do you have what it takes? 4. Are you well organized? You don’t have to be a detail oriented person. In fact, many successful businesspeople see the big picture and are not real good at details. However, in the beginning you must tend to the details. How difficult will this be for you? Are you willing to learn everything you can about web site design, meta tags and search engines? What about shopping carts and merchant accounts. Even a home based business entrepreneur entering the world of E-Commerce needs to learn about these things. Again, you don’t have to be a detail oriented person but you must be organized. Organization allows you to get more done in less time. How organized are you? Do you have what it takes? 5. Do you have a high level of energy? Running a business requires a great deal of energy. In fact, in the beginning, you may be running on adrenalin. Even an internet marketing business requires a high level of energy. After two hours on the computer do you want to take a nap? Do you have a high level of energy? These are just a few of the natural characteristics need to be a successful entrepreneur. Usually these are traits a person is either born with or has acquired by the time that reach adulthood. Not having them does not mean you will fail but you will need to make some significant changes in your thought process. There are other things that you will need to learn. That’s the purpose of this site. However, before proceeding with the lessons, are you certain you have what it takes? What you need to know we will teach you. What you need to have, you will have to acquire. Ready to proceed? We are assuming you have what it takes and want to learn what you need to know to start a business marketing on the internet. I invite you to come back to this blog often. I will be updating it several time a week. Also, be sure to visit Stable Online Income.